S 1/c J. D. Williams, son of Mrs. Lalbrook, attended Weaver and Frederick High Schools. 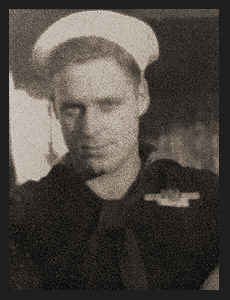 Entered Navy in June, 1942, trained in Key West, Fla., Boston, Mass., and Pittsburg, Pa.; served in Iceland, Greenland; is now on duty in San Pedro, Cal. Awarded Good Conduct Medal, ETO Ribbon with one Battle Star. (As per original 1940's publication).